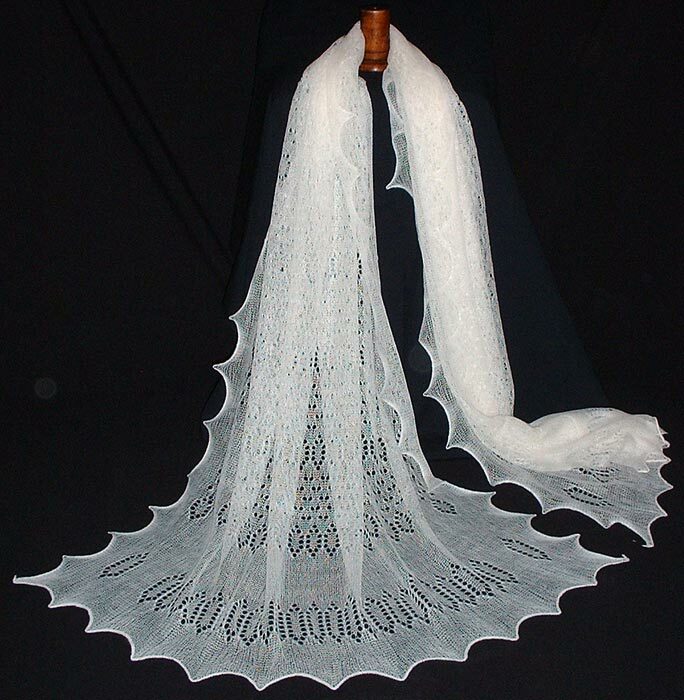 Fine lacy wraps, shawls, stoles, squares and scarves all made in the traditional way on the William Lee type frames. 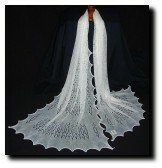 The finest yarns are used to make the delicate and attractive fabrics. 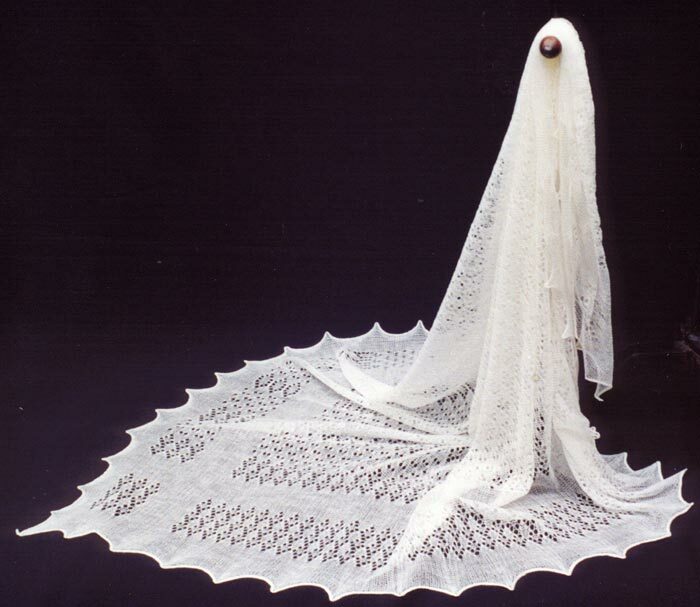 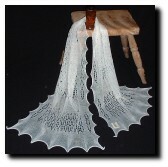 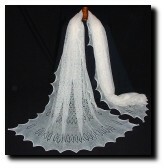 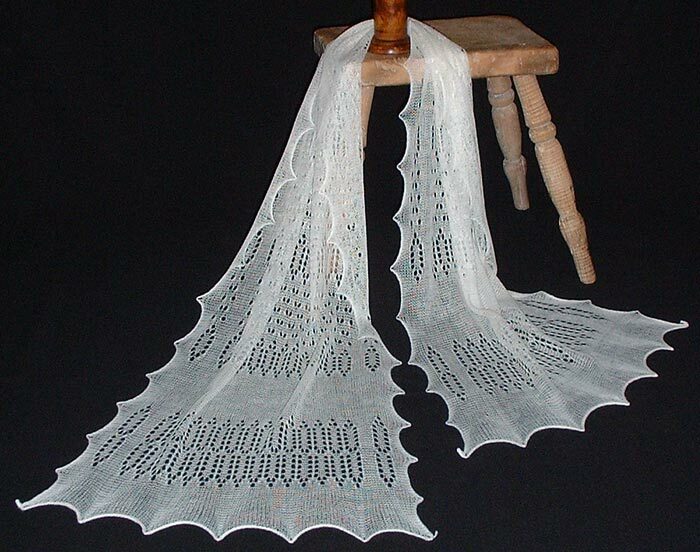 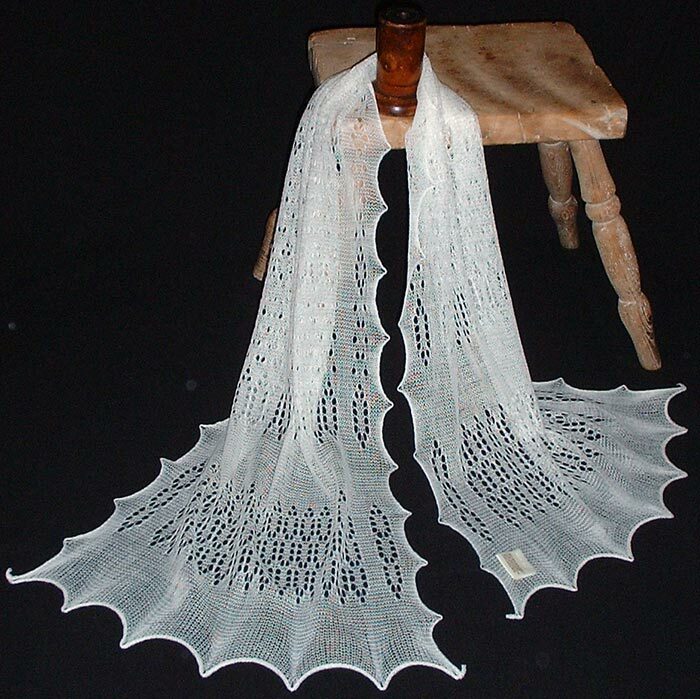 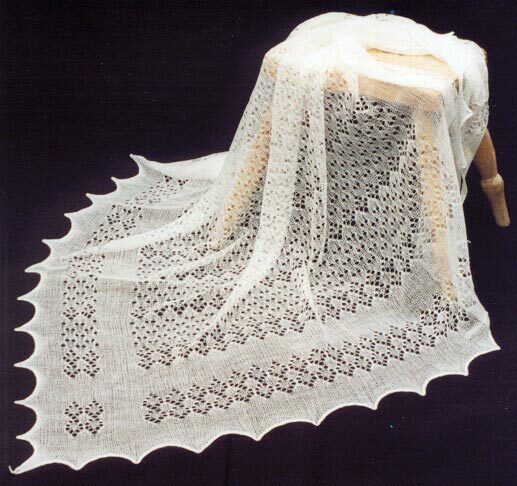 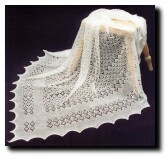 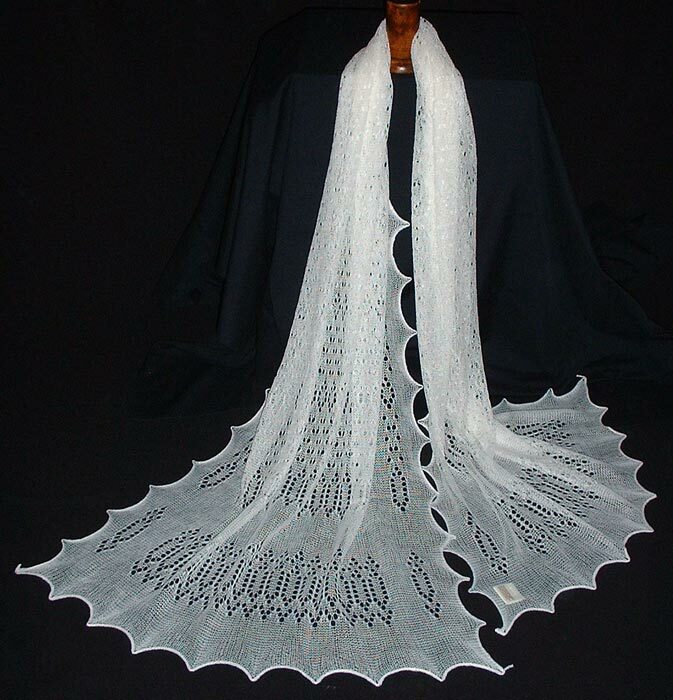 This is the traditional size for Christening, baby and evening shawls.